2018? Well. It was bae, my friends. And so as old father time shuts the big fat door on another year both bleak and grand, so does YouTube being us its annual rewind, giving us the stars we loved, the moments that dazzled us and, of course, a healthy serving of that most up and coming of all YouTubers, Will Smith, or “Jaden Smith’s dad” as kids these days no doubt call him. 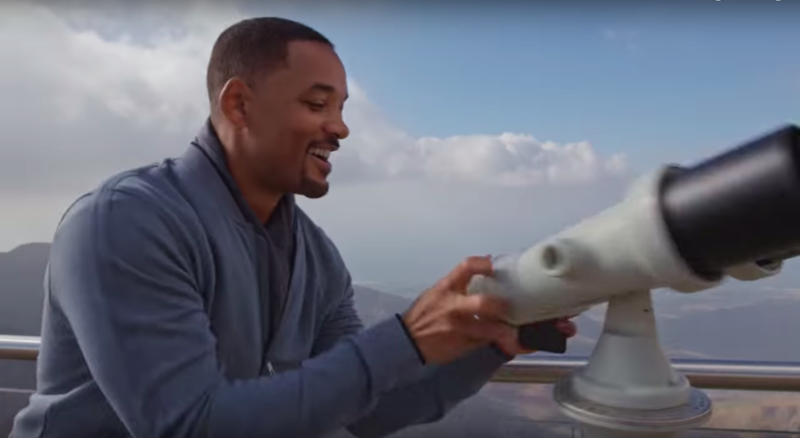 Will Smith introduces the video with the level of excitement that made the man a superstar, and then gazes out to see all the YouTuber chaos take place just outside his window! The video above gives us the best of YouTube’s stars and a healthy dose of animated cartoons. If you find yourself going “wait a second– is that–” it probably is! 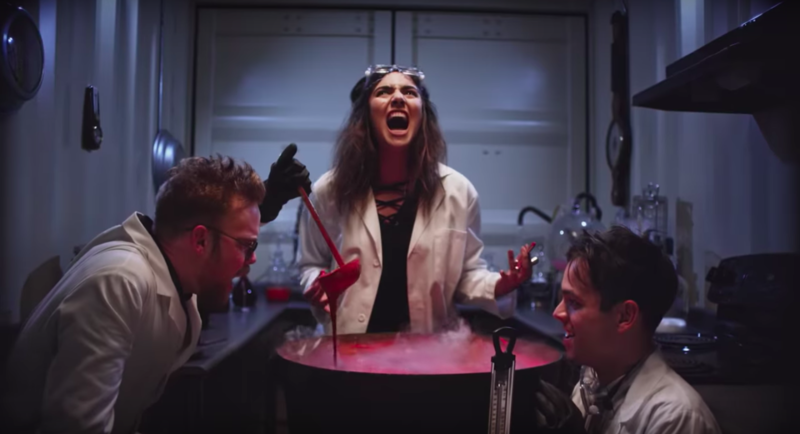 From merely a glance we see a Fortnite bus driven by Twitch’s Ninja, Liza Koshy giving her magical presence all over the video, and more, including appearances from Marques Brownlee, ItsFunneh, Nick Eh 30, Lachlan, GamingWithKev, mmoshaya, Simone Giertz, Elle Mills, Rudy Mancusco, Lele Pons, Anwar Jibawi, Hannah Stocking, Cherrygums,Me Poupe!, Billingirl Chika, Manual do Mundo, julioprofe, Noor Stars, Ami Rodriquez, Rey Palomo, GEN HALILINTAR, Shalo Black, Technical Guruji, skinnyindonesian24, LaurDIY, Alisha Marie, Miss Remi Ashten, Jordindian, NikkieTutorials, Markiplier, Krystal Yam & Family, Furious Jumper, Caspar, Gabbie Hannah, Sam Tsui, drag queens Trixia Mattel and Zatya Zamolodchikova. Phew! That’s a lot! And there’s more! We have Diva Depressão, Lilly Singh, Luzu, Pozzi, Afros e Afins por Nátaly Neri, BB Ki Vines, FAP TV, KikakinTV, Pinkfong Baby Shark, Fischer’s Primitve Technology, Tien Zombie v4, How Ridiculous, Lyna, SamHarveyUK, gymvirtual, Enes Batui, Yammy, FavijTV, Desimpedidos, 100cupados, LA LATA, CajuTV, the Dolan Twins, Emma Chamberlain, James Charles, Bokyem TV, AuthenticGames, Muro Pequeno, Rosanna Pansino, The Try Guys, Pautips, Marshmello. Plus, look. We’re not done. Not until we mention AsapSCIENCE, Safiya Nygaard, Ms. Yeah, Bearhug Kaykai Salaider, Gongdaesang, Molly Burke, Kelly MissesVlog, ENjoyPhoenix, TheKateClapp, Michael Dapaah, JukiLop, DagiBee, the Merell Twins, plus of course, Casey Neistat. 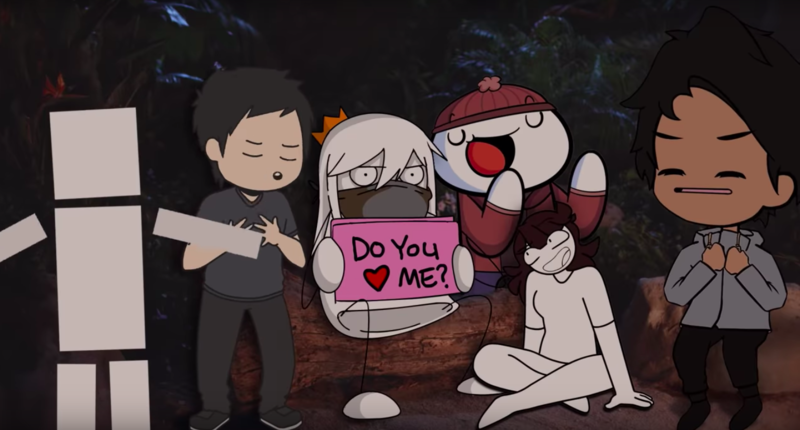 Plus there’s a bunch of cartoons in the mix, including Tabbes, Domics, Bongo Cat Life Nogging, Erold Story, TheOddisOut, JaidenAnimation, illymation, and my personal favorite, that baby voiced so and so, Lucas the Spider. Cute little Lucas. 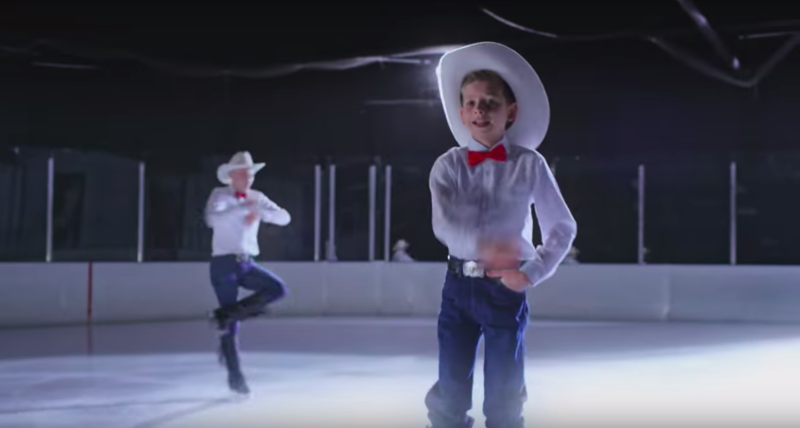 Plus, Mason Ramsey, aka the Walmart Yodeling Kid ice skates with Olympic legend Adam Rippon while Trevor Noah and John Oliver, of The Daily Show and Last Week Tonight, do embarassing trendy dances. So you know. Something for everyone. 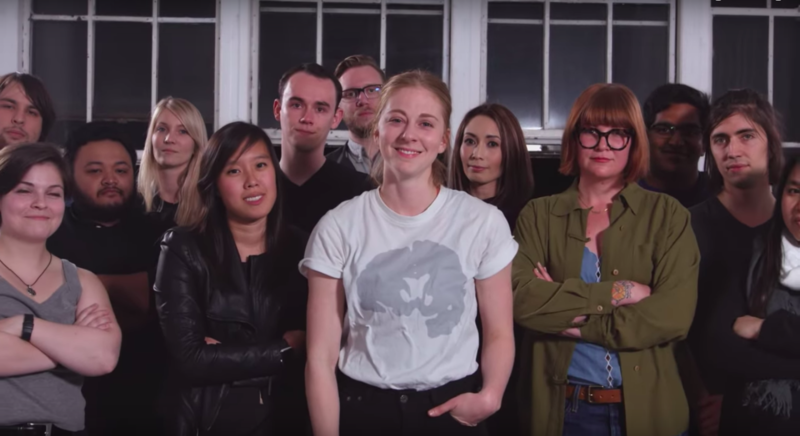 Simone Giertz had a stand out moment as she thanks the viewers and the community for their kind words and support during her medical trauma over the past year. Trends were celebrated including K-Pop, Fortnite, ASMR and Mukbangs. Overall, it was another incredible video and a good cap for another strange, strange year for YouTube. Good work, all. 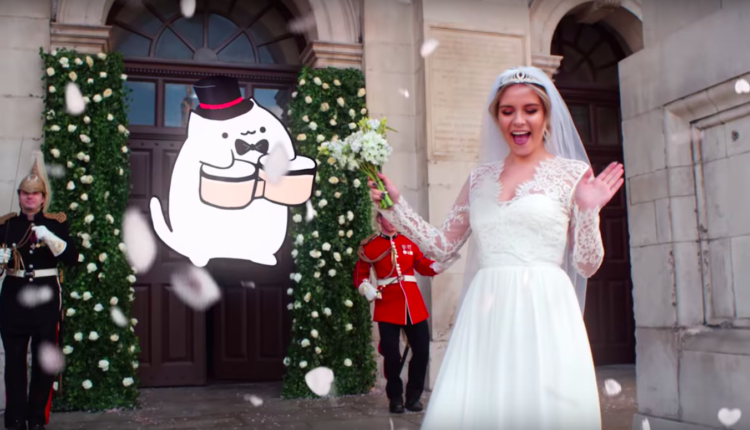 What do you think of the YouTube Rewind video? Let us know in the comments or on Twitter at @WhatsTrending.